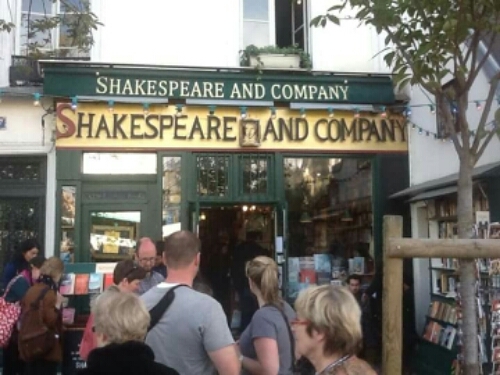 When I first arrived in Paris, visiting Shakespeare and Company was on top of my to-do list. For such a long time I had heard about the book store, I simply had to go and see it for myself. After checking in at the hotel, I set out for Shakespeare and Company. 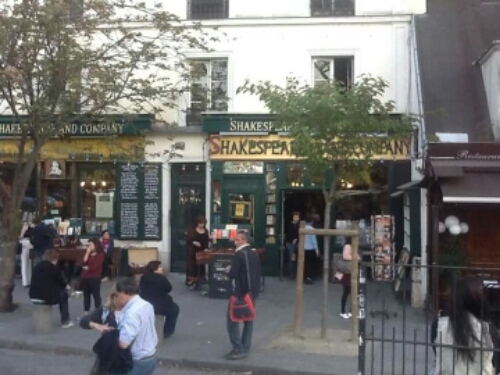 The book store today is the second book store in Paris with the name Shakespeare and Company. The first one was open from 1919 until 1940, having to close during the German occupation. The Shakespeare and Company of today opened in 1951, originally named Le Mistral, but took the name Shakespeare and Company in 1964, in tribute to the original store and its owner, Sylvia Beach. The book store has long been a meeting place for writers, artists and bohemians. Young writers are allowed to live and work in the shop when staying in Paris. Today the book store is also a major tourist destination. I could visit the store for hours, walk around, look at the books on the shelves. Browse through some books. The selection was impressive, and the interior was just as book stores are supposed to be. Not too flashy, cramped, filled with books. Wooden book shelves reaching all the way up to the ceiling. I limited myself to buying two books. During the last month I had been in both Japan and France, I did not have that much money left. It was hard to decide which two to choose, but I made up my mind in the end. As I paid for the books I even got them stamped with a special Shakespeare and Company stamp. A cool added bonus. I would always know where I got these books. I have heard that Shakespeare and Conpany recently has opened a cafe next door. It was the dream of George Whitman, the original owner, to open a cafe next door, then occupied by a stationary shop. Whitman died in 2011, but his daughter was finally able to secure the premises and in October 2015 the cafe opened. A good reason for me to go back. With my two new books in my bag I headed out of the store and started walking towards the Louvre. I was meeting a friend for a night out in Paris. 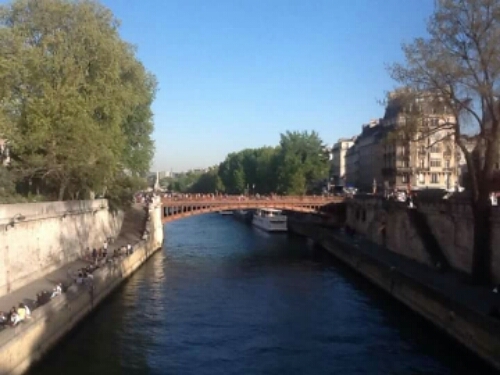 Shakespeare and Company lies just across the river from Notre Dame. The address is 37 Rue de la Bûcherie, 75005 Paris. It is open every day from 10am to 11pm. If you like books and are in Paris I recommend paying a visit. 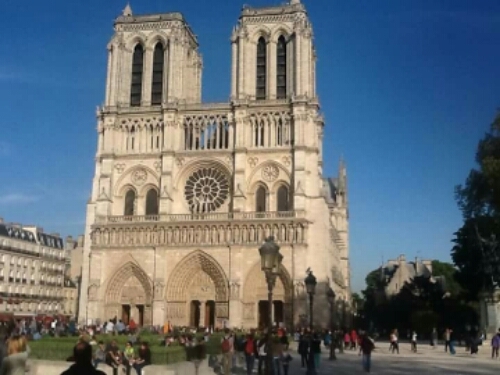 Read more about my trip to Paris. This entry was posted in France and tagged book, book store, Paris, Shakespeare and Company on July 25, 2016 by Traveltorgeir.